Photo of Zara Phillips at Windsor Horse Show as a young girl in 1987, by Tim Graham. 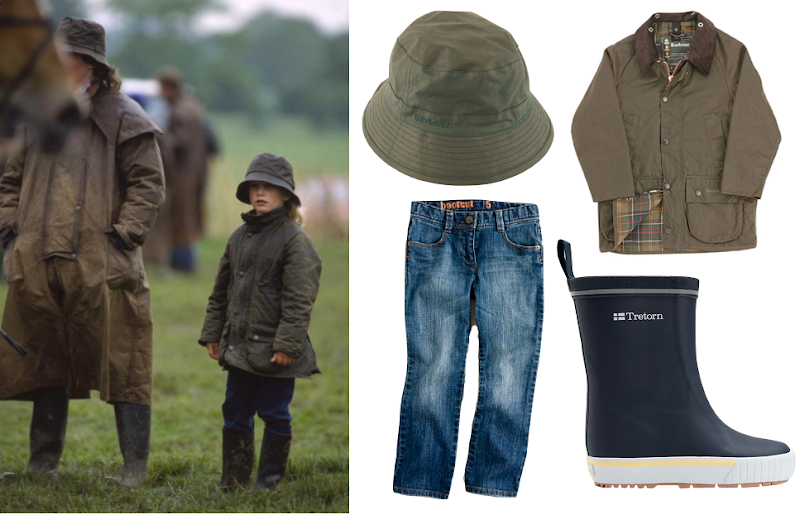 Children's Wax Sports Hat ($21); Children's Barbour Beaufort jacket ($279); Tretorn Jolly wellies ($40); Girl's Bootcut jeans ($42). By far the little girl with the most enviable style!